MOSCOW (Sputnik) - Russian military chemists arrived in the Syrian city of Aleppo, at which militants fired shells filled with poisonous agents on Saturday, Russian Defense Ministry spokesman Maj. Gen. Igor Konashenkov told reporters on Sunday. "Groups from the observation posts of the radiation, chemical and biological protection units with special equipment stationed in Syria arrived to the area of shelling urgently. They work with the injured taken to medical institutions, monitor the situation in the area where the militants used poisonous substances," Konashenkov said. The symptoms of those injured shows that most likely, the shells had been filled with chlorine, he added. 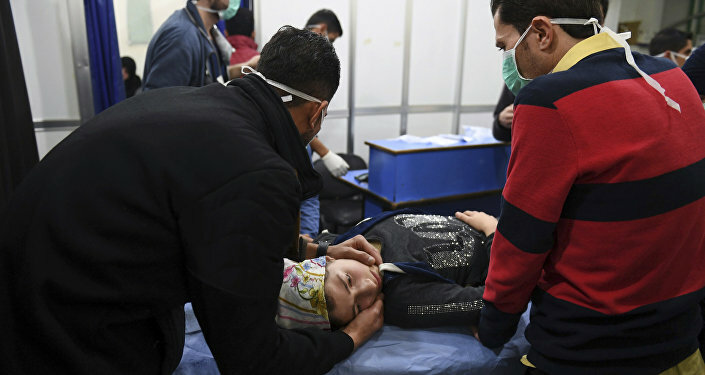 "According to preliminary confirmed data, in particular, by the symptoms of poisoned victims, the shells that were fired at residential areas of Aleppo had been filled with chlorine," the spokesman said. He stressed that earlier the Russian side had drawn attention to the fact that the White Helmets organization had been trying to organize provocations using chemical agents in the demilitarized zone around Idlib to accuse government forces of using chemical weapons against the local population. "It is clear that the White Helmets are directly connected with terrorist organizations operating in Syria, and in particular, in the Idlib de-escalation zone," he said. Russian specialists conduct a thorough monitoring of the situation around the Idlib de-escalation zone, for which the Turkish side is responsible, Konashenkov said. 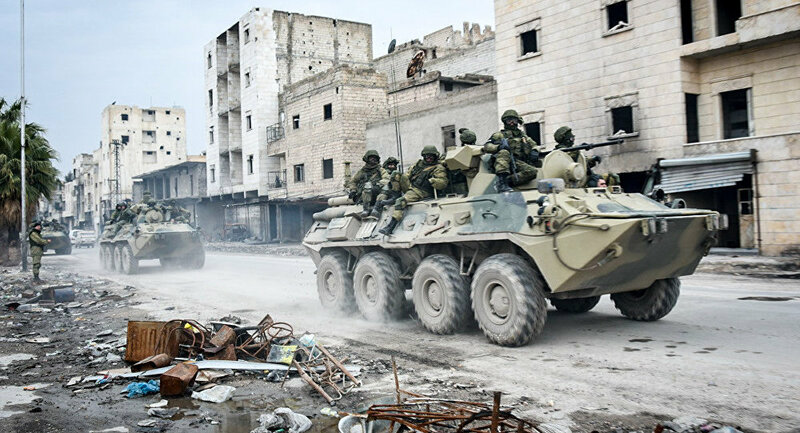 According to the information of the Russian Defense Ministry’s Center for Syrian reconciliation, at 21.50 on Saturday, terrorist groups located in the Idlib de-escalation zone fired 120-millimeter shells at the northwestern districts of Aleppo from the southeastern part of the demilitarized zone (near the village of Al-Buraykat, controlled by the militants of Hayat Tahrir Ash-Sham, former Nusra Front). Shells filled with poisonous substances exploded in the area of Nile Street in the quarter of Al-Khalidia. "As a result of the shelling, 46 people, including 8 children, received a chemical damage. All the victims were taken to medical institutions of the city of Aleppo, where they received medical assistance," Konashenkov said. Earlier, Konashenkov reported that six special radiation, chemical and biological reconnaissance vehicles had been deployed to Russian observation posts in the immediate vicinity of the demilitarized zone in the province of Idlib, which would regularly carry out an assessment of the radiation, chemical and biological conditions.